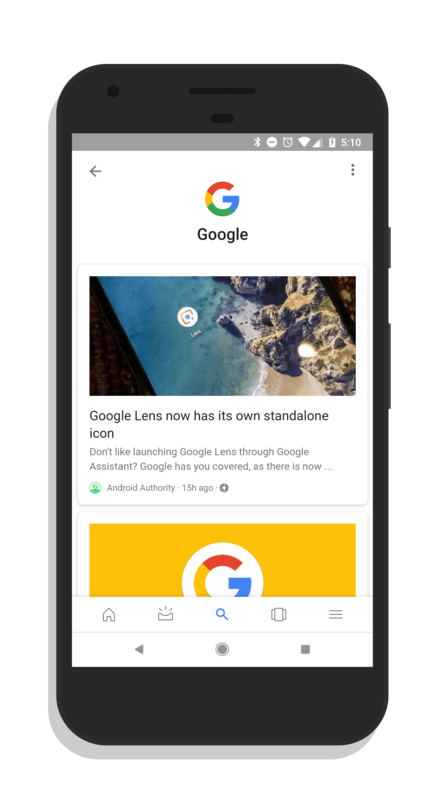 Improved dedicated topic pages in the Google Feed in the Pixel Launcher and the Google app are now in the process of broadly rolling out to users. The improved feature allows you to select a topic of interest in your feed and get a dedicated page to that topic along with multiple related articles. The change is a cloud-side change and appears to be rolling out to a wide range of versions of the Google app, including the current 8.5 stable version as well as the beta build which is version 8.6. You will know that you have received the new update when you look at your Google Feed either in the Pixel Launcher page or by opening the dedicated Google app. Next to the topic header, if you see a > (right arrow or chevron), then you have the update. By tapping on that topic header, you are taken to the new dedicated topic page which has articles related to that topic that you can scroll through and read. As you scroll down the page, the topic header remains at the top to remind you of the topic at hand. It is a simple change for sure but it is a much cleaner and better use of space on topic pages and it provides a lot of content around a particular topic. If you aren’t seeing this update yet, just hang tight. It is just a matter of when it lands on your account.